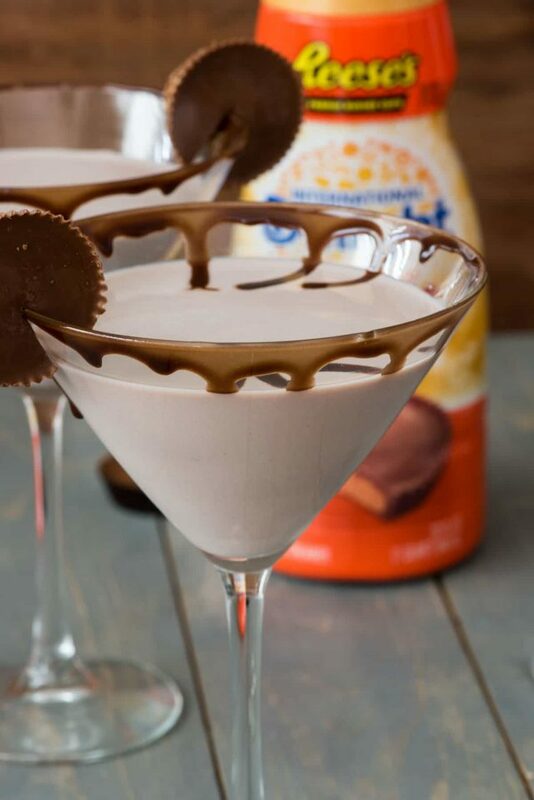 Easy Peanut Butter Cup Martini – just two ingredients and no fuss to your FAVORITE dessert martini ever!! Oh so sweet and chocolate, this is one of the best dessert cocktails I’ve ever had. One of my favorite things to do as a food blogger is to walk around the grocery store and look for all the NEW products. I love checking out new flavors of cookies or cereal, granola bars or chocolate. The fall is an especially busy time of year for that sort of thing because every single company is trying to pumpkin spice us to death (which I’m not against, but I’ve gone a bit broke buying all the pumpkin spice things). I think my love of the word NEW on packaging stems from how we lived on a strict budget growing up. New product debuts were rare back then, but when they happened I would beg my mom for the newest cereal or cookie flavor and she’d usually say no. Honestly, as an adult I get it: cereal is expensive. Buying a box of expensive cereal just to try it can get pricey, especially when you have a picky kid that doesn’t like anything. When I got to high school, one of my girlfriend’s moms was the buyer of all the new items. I knew that if a new brand of mini muffins came out, it would be in her pantry, so I just had to plan a time to hang out at her house. I have SO MANY RECIPES that I am going to make with this creamer. You should probably just go buy a vat so that you can be ready for all of them. The first thing I did when I got the creamer home was to try it in my coffee. Delicious. The second thing I did was add vodka. Isn’t that the second thing people always do? No? (Hey, at least vodka isn’t my #1, lol.) International Delight Reese’s Peanut Butter Cup Coffee Creamer + vanilla vodka = the best dessert cocktail I’ve ever had. 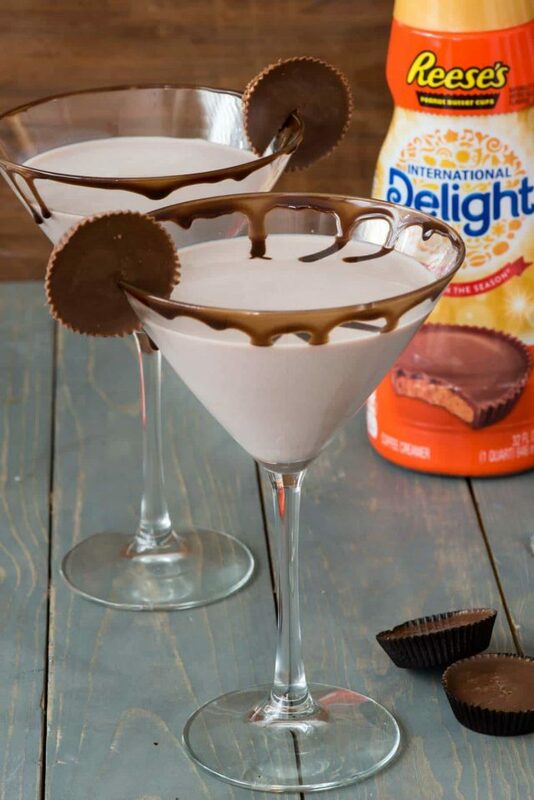 It’s a peanut butter cup vodka martini and there is NOTHING extra you have to do other than measure, shake, pour. Caveat: I only could have this for lunch because my husband was off work and was doing all the carpooling. Now I’m back to cocktails during cocktail hour (sniff). Have you ever noticed how many International Delight recipes I have on this site? 38. Yes, you read that right. I have 38 recipes made with coffee creamer on this site and most of them aren’t drinks. I now have to re-make all of them with peanut butter cup creamer because, OBVIOUSLY I DO. Bundt Cake and Chocolate Sauce, Ganache Pie and Cheesecake Dip…French Toast and MONKEY BREAD. You guys, buckle up because here we go. But first, let me pour you a vodka. 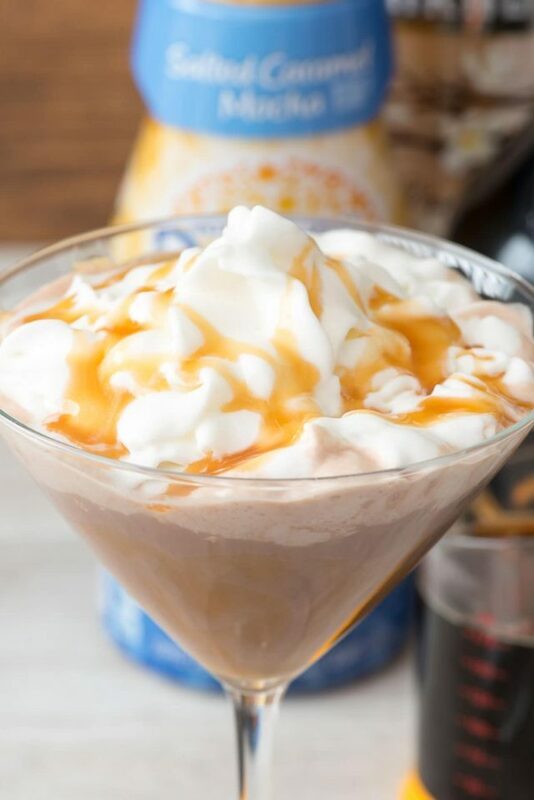 A Peanut Butter Cup Martini is an easy dessert cocktail made with just 2 ingredients and no fancy equipment! 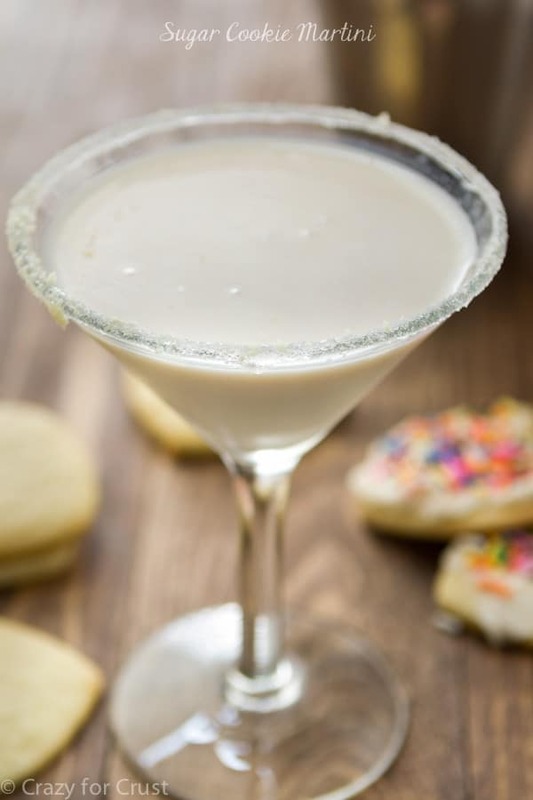 In a lot of the Peanut Butter Cup Martinis you’ll find on google, they use a peanut butter cup infused vodka. That requires you to mix vodka with peanut butter cups in a blender to make your cocktail. Having to wash a blender? Not on my to-do list today. Some of them use a peanut butter flavored vodka or rum along with a chocolate liqueur. That’s two or three bottles of alcohol that cost at least $10 each that I’ll never use again and have to mark with a sharpie so I don’t find out Jordan’s been sneaking it when she’s 16. 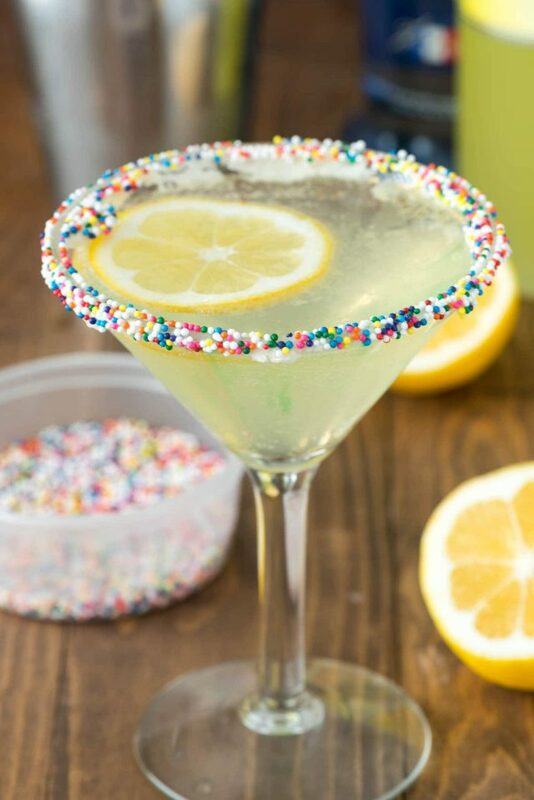 This cocktail? 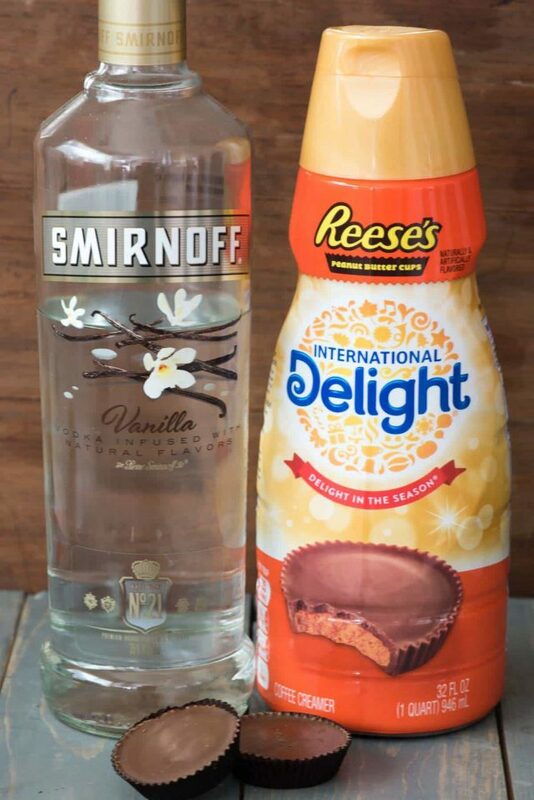 This uses only 2 ingredients and you probably have both on hand: International Delight Peanut Butter Cup Coffee Creamer and vanilla vodka. Don’t have vanilla vodka? Use regular. Boom, done. Easy Peanut Butter Cup Martini - just two ingredients and no fuss to your FAVORITE dessert martini ever!! Oh so sweet and chocolate, this is one of the best dessert cocktails I've ever had. Place vodka and creamer over ice in martini shaker. Shake. Rim glass with chocolate sauce (optional). Pour into glass. Serve with a peanut butter cup for garnish. See all my recipes with coffee creamer here! I love how easy this is, no blender, no flavored vodkas that will never get used again, and good to know that creamer is a total winner! You speak my language! Peanut butter cups and vodka? Two of my favorite things! I have to go buy this creamer today! It took me a while to find this creamer too, but now it’s one of my favorites! Love love love that you mixed it with vodka for a dreamy drink!!!! I quadrupled the recipe into a giant cold thermos and dropped in one of those shaker balls that come inside protein shake bottles. I brought the whole thing to my night shift to share with the girls. They loved it! Sooooo good and smooth. Don’t tell anyone? ?